We’ve seen plenty of graffiti around the world, and generally we think it’s destructive and ugly. Wandering around Chile we were delighted to see that many of the walls around the city were covered in an entirely different kind of graffiti that truly was art. 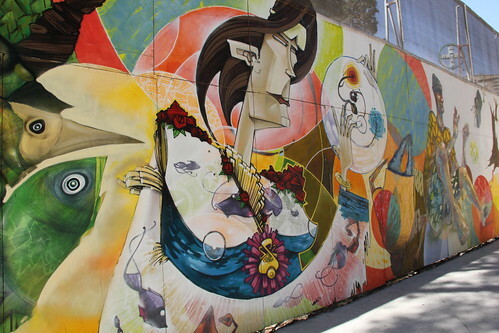 We took hundreds of photos of the different murals from Santiago to Valparaiso and beyond and we continue to be impressed by the quality of the street art we’ve found throughout our travels.